Somewhere in Xaghra, voices are soaring, pieces are being run through, final arrangement with “Carols by Candlelight” will be back and the choir and its leader wants to make sure that patrons are not disappointment. “Carols by candlelight” was first organized in 2003 with the aim of helping modern audiences to listen and reflect on the Christmas mystery. “We want other audiences to leave the concert with a new spirit … that of Christmas, charity and love for life,” says leader Stefan Attard. The choir works hard to create a suitable ambience for the concert, aided by candles and with special light effects under the artistic direction of Austin Camilleri. Right after the concert – which this year will be held on 15 December art St. Augustine`s church – the audience leaves the church and enters the renaissance cloister of the monastery, where banquet tables are spread with food prepared by the chef of Ta` Frenc Restaurant. This year`s concert programme will include pieces by Mro. Domenico Bartolucci, Maestro Perpetuo of the Cappella Pontificia Sistina, who earlier this year donated the whole collection of his compositions for the choir`s archives. Other pieces are from the “Christmas Composer” John Rutter, together with popular Christmas classics like Adeste Fidelis and Silent Night – as well as traditional classics like Ninni la Tibkix Izjed. Other compositions are written by the choir`s resident-composer Paul Portelli. Marouska Attard, the director and soprano, will also interpret some solo pieces. “We always keep in mind that we have to lead the audience to experience the true magic of Christmas, to make them go back in time to their childhood, when innocence and fantasy reigned,” says Mr.Attard. In fact, despite this being the fourth year that the concert is organized, the choir tried hard to vary the experience created. The programme usually includes some poetry reading or some prose written specifically for the occasion. 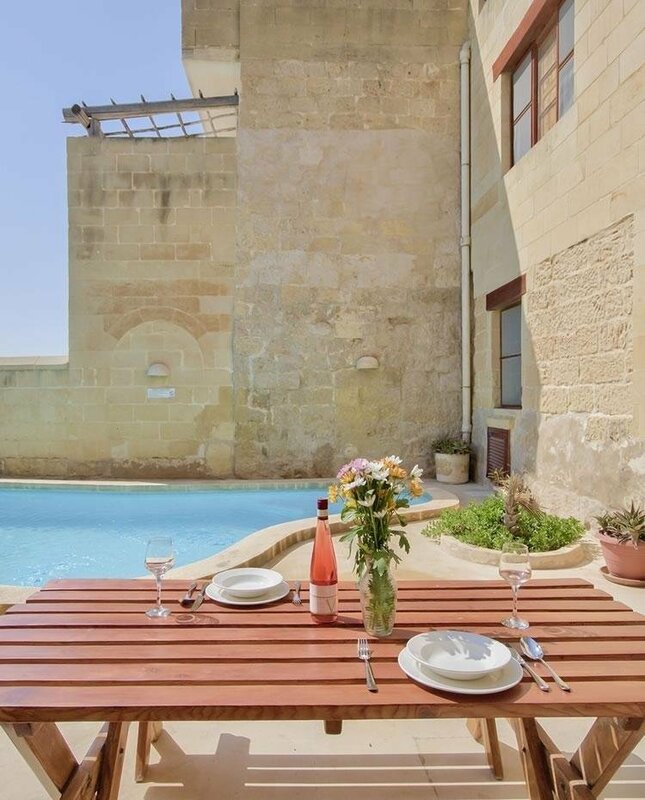 Schola Cantorum was formed in 2000 by Stefan Attard. “The name itself indicates progressive teaching in singing,” says Mr.Attard. “My Schola Cantorum Jubilate is a private youth choir which specializes in sacred polyphony and is directed by the world`s youngest director, 22-year-old Marouska Attard.” Sometimes, the Jubilate Chamber Orchestra joins in with the choir. Composed of 18 sopranos and altos and 12 tenors and basses, the choir performs every Sunday at the 11am mass at the Basilica of Marija Bambina, Xaghra. 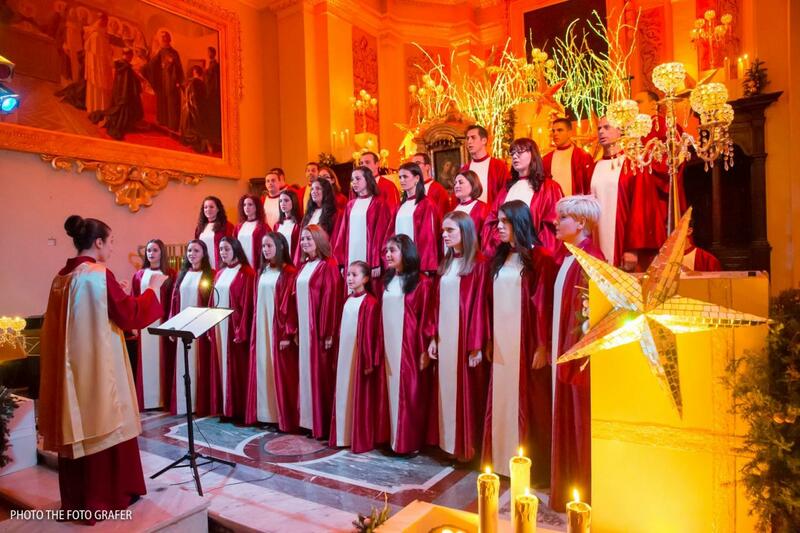 Meanwhile, another Gozitan choir is busy with preparations for its Christmas event. Chorus Urbanus, a 60-strog choir with members of all ages from all over Gozo, is also rehearsing for Il-Kuncert tal-Milied, to be held at the Astra Theatre on 21 December, together with the National Orchestra. The concert will include the participation of Yvonne Galea (soprano), Joseph Aquilina (tenor), Noel Galea (bass), Mario Portelli (tenor) and singer Ruth Portelli, Christine Camilleri, Gabriella Azzopardi and Analise Xerri. “There is a special joy that Christmas music imparts to human souls and we aim to manifest this joy and radiate it to our audiences,” says Mr. Borg. First held in 1998, it is the second year running that the concert will be held at the Astra Theatre. “Since the event will be held in a theatre rather than a sacred space, this year, the concert will include effervescent polkas and the the liltic rhythms of waltzes by Johann Strauss as well as some music by Wolfgang Amadeus Mozart.” The second half will dwell around the Christmas theme. A Yuletide work for five-part choir and orchestra Hodie Christus Natus Est composed by John Galea, will also be premiered. By popular request it will also feature Gloria de Noel - a work that was premiered by Chorus Urbanus in Strasbourg last year and then, a week later, in Gozo. The event tends to be simple, preferring to let the music interact with the audience. Stage design is in the hands of artist Joseph Cauchi, a household name intimately linked with the Mediterranean Opera Festival, himself a prominent member of Chorus Urbanus. Officially set up during September 1975 and inaugurated on Christmas Eve of the same year, on the initiative of Fr. Joseph Gauci and the late Joseph Bezzina, Chorus Urbanus has since become a major choir, drawing members from all over Gozo. Though it is an amateur choir, the quality of singing measures up to high artistic standards. The choir organizes regular master classes delivered by Prof.B.K. Dobreva, former Dean of the State Academy of music in Sofia, and her assistant M. Atanassova, ensuring an accomplished basic technique. Moreover, the choir enjoys the professional leadership of John Galea, from the Music Studies Department at the University of Malta. Equally synonymous with both the Chorus Urbanus and its energetic director is the attention to purity of style over a wide repertoire and musical sensitivity infused with an emotionally saturated sonority. The Chorus Urbanus was the first choral force in the Maltese islands to travel abroad to record with an international label. On the strength of its high artistic standards and credentials, the Chorus Urbanus has been affiliated to Europa Cantat, and been given recognition as the first choir from the Maltese islands to become a full member of this European Federation of Choirs.